luxe + lillies: KOLLECTION FOR DESIGN DARLING! I'm so excited to tell you that a series of kollection cards are now available in the Design Darling Boutique. Mackenzie's preppy chic and classic style is evident throughout her adorable shop brimming with fun pieces. These cute cards are just a taste of whats to come! 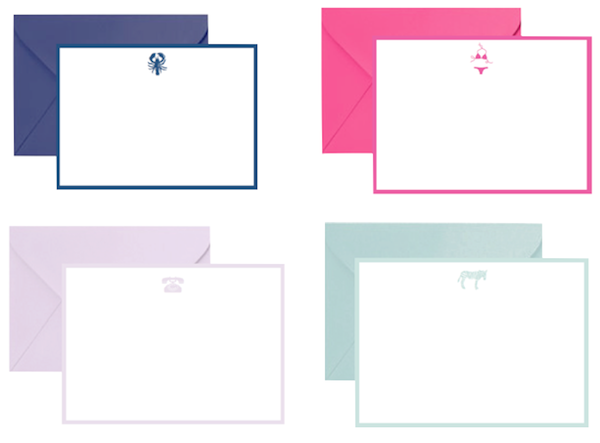 Later this week she will be carrying some just-for-Design Darling monogrammed cards too! Pop over to see them for yourself! keep up with kollection on twitter and facebook too!